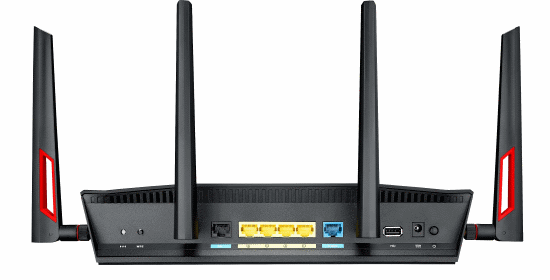 If you have DSL at home the new ASUS DSL-AC88U provides an integrated approach to providing internet connectivity from a single device. What makes this guy particularly interesting is that it also has a WAN port, so if you decide to drop the DSL when cable comes to down you won’t have to eBay it. Also, while it’s not mentioned in the PR, I’d be surprised if it didn’t support dual WAN connections from the DSL & WAN ports. If it does, and you need that level of backup this could be just the thing. Even more interesting is that this looks to be quite a bargin even if you don’t need a DSL modem. Its SRP of £220 is less than the £250 DSL-modem-less RT-AC88U that it appears to clone. ASUS DSL-AC88U will be available from the first week of March in the UK from leading retailers with an SRP of £219.99. Please contact your local ASUS representative for further information.